← Let’s Go Back To WikiLeaks And Learn Something Interesting! The End Of Mubarak And The End Of Fannie and Freddie? On Friday, the Obama administration laid the foundation for what is sure to be a fierce debate about the role government should play in supporting homeownership in the United States in the wake of the housing bubble and financial crisis. The Treasury Department and the Department of Housing and Urban Development issued a report to Congress outlining how government can gradually scale back its involvement in the mortgage market and transfer housing finance to the private sector. The report proposes abolishing the government-backed mortgage providers Fannie Mae and Freddie Mac within ten years and suggests three possible systems to take their place. With that said, however, the government’s presence in the housing market will not disappear entirely. In fact, it would certainly remain intact for the affordable housing initiatives through the Federal Housing Authority and other targeted programs, as it had in the past. The big change would be how mortgage funding would be provided for the vast majority of mortgages in the U.S., which have heavily relied on Fannie and Freddie for decades. The Treasury wants the private market to step in and take on most of that funding responsibility and relieve taxpayers of some or almost all of the mortgage market’s risk. Before getting into the three alternative policy possibilities that it offers, the plan explains how the mortgage market would be weaned off of Fannie and Freddie over a period of time. One change would be to gradually increase the guarantee fees that the GSEs charge, so that private guarantors would be able to better compete. Another change would be to require Fannie and Freddie to obtain more private capital to cover subsequent credit losses. The Treasury also intends to reduce the size of mortgages that qualify for Fannie and Freddie guarantees. 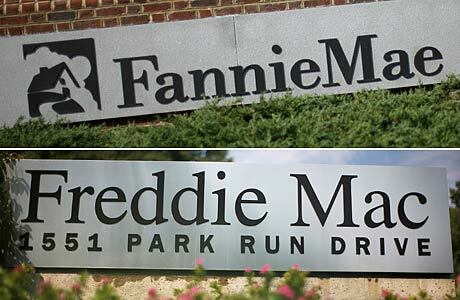 Finally, the administration intends to wind down Fannie’s and Freddie’s mortgage portfolios, by at least 10% per year. The Treasury also provides some guidance on mortgage underwriting and measures to crack down on predatory lending. Perhaps the most surprising assertion was that loans that obtain government backing going forward — excluding those in designated programs specifically targeting lower-income borrowers — should eventually be required to “have at least a ten percent down payment.” The Treasury also stressed the importance of ensuring borrowers have the ability to pay the mortgages they obtain. While the report does say a lot of the right things — such as protecting the taxpayer — it is awfully short on any real details. And in many areas, the report makes clear that the Obama administration intends to keep the taxpayer on the hook for future losses arising from Fannie and Freddie. For instance, after assuring us that the GSEs will have sufficient capital to meet their obligations, including debt, the report tells us that such capital will not come from investors, but from the taxpayer. One has to wonder whether this report was written for the benefit of the Chinese Central Bank (one of the largest GSE debtholders) or for the benefit of the U.S. taxpayer. Equally vague is the discussion of “winding down” Fannie and Freddie. While that sounds great, how is this to be accomplished? And how long will it take? Again it seems that this “wind-down” will be financed by the taxpayer. It is suggested that the GSE guarantee fees will increase. Again, by how much and when? Paragraph 2 of Section 1074 of the Dodd-Frank act, which required this study, also requires an “analysis” of various options and impacts. In all due respect to HUD and Treasury and their efforts, there is nothing in this report that remotely resembles an “analysis” — just vague generalities. I appreciate the administration’s stated desire to move us closer to a private market solution, but we’ve heard these empty promises before. Remember that financial reform was going to end “too big to fail” and bailouts? Health care reform was going to “bend the cost curve”? It is past the time of fluff. We need actual details and an actual plan. Beyond the basically insane structure of Fannie Mae and Freddie Mac — private institutions with lobbyists, profit motives, and the protection of an unarticulated but widely acknowledged government guarantee to cover their big losses — the administration’s diagnosis of what went wrong in the housing market speaks much more to issues dealt with in the financial-regulation law than issues included in their three options for reform of the government’s system of housing finance and insurance. The story they tell begins in the consumer market, where inadequate protections and incompetent regulatory oversight allowed the brisk trade in bad mortgages to people who couldn’t afford them to take off. It then moves to the opaque and underregulated finance system, where the banks were packaging products they didn’t understand into securitized bonds and selling them off so quickly that they stopped worrying about how risky they were, and where regulators didn’t see what was going on and thus didn’t demand the banks hold enough capital to protect themselves from the inevitable reckoning. Fannie Mae and Freddie Mac were part of this story, of course. But they were late to the party. They only got into the riskier stuff in 2006, while the rest of the financial industry had been playing in the mud since 2001. Reforming them can help mitigate a housing crisis in the future. But given this chain of events, it can’t prevent it. The root causes will be fixed — or not — in Dodd-Frank. It’s up to the Consumer Financial Protection Bureau to strengthen the weak consumer protections that allowed these mortgages to be sold in the first place. Regulators will have new powers to force financial players — particularly the megafirms whose failure threatened the whole system — to hold more capital as a buffer against bad times. Banks won’t be able sell off all their risk because the law says they have hold five percent of the risk of any product they originate — though as Bethany McLean notes, that’s not true when the product consists of “qualifying residential mortgages,” and it’s up to the regulators implementing Dodd-Frank to define what a qualifying residential mortgage is. That’s not to say reforming the way the government structures its presence in the housing market doesn’t matter. It does. But the government isn’t looking to dramatically change the role they play in the housing market. They’re just looking to get away from poorly designed institutions like Fannie and Freddie. The real action — the work that could prevent another crisis — is still in Dodd-Frank, where many of the questions central to how the housing markets works going forward haven’t been answered, and where many of the rules that might stop it from blowing up again have yet to be written. Incidentally, the more I think about it, the more outraged I am by the sketchiness of their proposal. It takes up only a few paragraphs, and those are quite vague. It is the sort of thing that, if somebody tossed it out at a meeting or in a blog post, you would say, “Might be interesting, but I am not quite sure how you would do it. Do you have a background paper on it somewhere?” In the form that it is presented in the report, I think that it is irresponsible to even call it a proposal. Shame on Treasury for putting something so half-baked at the center of their report. This puts me in the strange position of defending Freddie and Fannie. My first choice would be for government not to hand out any goodies. But if you are going to have the government hand out goodies, the ability of regulators to control the costs and mitigate the risks will be much greater if we revert to Freddie and Fannie than if we try something new. Under any arrangement, the hard part will be what I call “staying off the booze,” meaning keeping the government from guaranteeing riskier mortgages (second mortgages, cash-out refis, loans on investment properties, loans with low down payments, etc.) when house prices start rising again. It’s far to ask whether we’ve been over-promoting homeownership, and, as Alyssa Katzdoes in the latest issue of the Prospect, what we maybe should do instead. Alyssa will have more detail on what happens after Fannie and Freddie on TAP Monday, but for the meantime, I’d like to point out what a symbolic victory this is for conservatives. Whether Fannie and Freddie should have been preserved probably wasn’t considered lightly, but conservatives have been vilifying the agencies as the cause of the crisis since the beginning. They weren’t, they were simply the last to ride a wave that started on Wall Street. That doesn’t mean the weird private/public limbo in which they did business wasn’t also a bad thing, but it does mean that conservatives will point to their demise as proof they were right.